I have always had a soft spot for Basset Hounds and in lieu of being able to have one in my apartment years ago I started volunteering for the Basset Hound Rescue of Southern California. Eventually we were able to get our own Basset girl which just inspired us more to help others. We also try to support Basset Hound and other dog rescues with a portion of our profits. Daphneyland is an amazing place. At any time they have up to 100 hounds waiting for their forever homes. They care for senior hounds and find homes for an amazing number of wonderful animals who would otherwise meet an untimely end at a shelter. Daphneyland is in dire need of assistance right now. Caring for a hundred hounds is no easy task. If you can help in any way please see their First Giving page Or stop by their Basset Hound Rescue online to see what other types of needs they have. 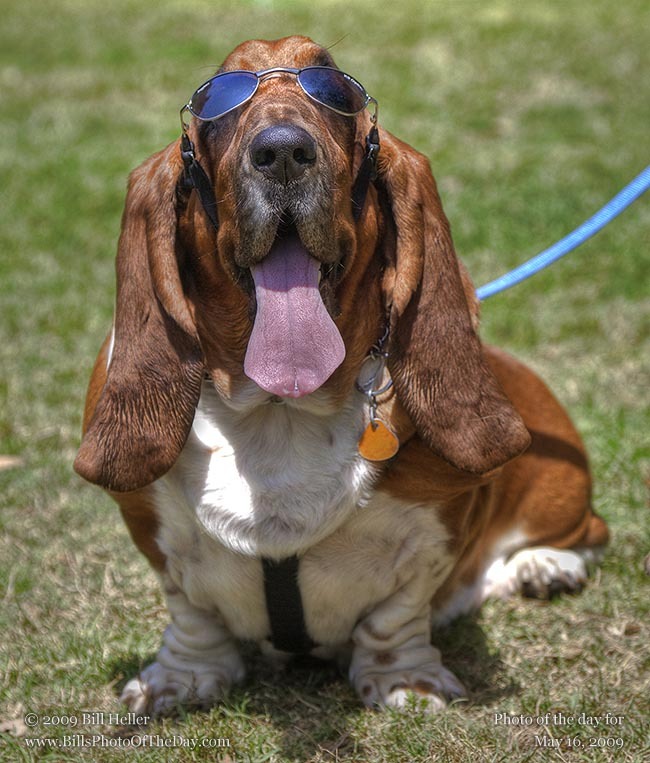 See more Basset Hound photos here. We help out by contributing photography, layout and design of the Basseteer newsletter. For many years, our hound Zoe even wrote a column for the newsletter that entertained and helped many Bassets and their families. Every chance I get I give my parents credit for getting me started on my love of photography. On this page I have to give them credit for my love of dogs and for teaching me about rescues. Their own dog rescue specializes in Pomeranians, although I don't think they would turn away any pooch in need. They have saved many dogs both from homelessness, and from the wide variety of maladies that come with neglect. They are truly amazing people who would gladly share with any creature in need and I am proud to call them my parents!